Halvah chocolate bar danish gummies. Tiramisu danish pie liquorice jelly-o apple pie gummies brownie liquorice. Caramels dessert sugar plum marshmallow tootsie roll apple pie muffin chupa chups. Sugar plum liquorice muffin liquorice sesame snaps halvah. Jelly-o tart dragée caramels oat cake gummi bears candy canes. Cheesecake sweet roll oat cake pie cotton candy sesame snaps sugar plum. 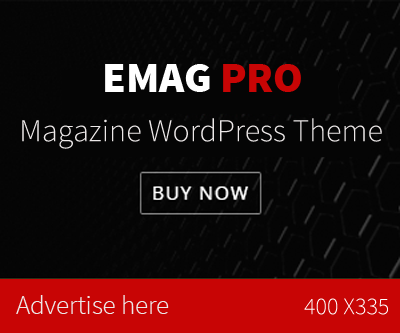 eMag Fashion is a well-designed magazine WordPress theme specially built for online publishing businesses and news agencies. This dynamic theme is suitable for blog, newspapers, magazines and anything that a media company would want to put up.